Is your fire escape in poor shape? If your treads, slats and stairs are wobbly, missing or loose, it may become a safety hazard. 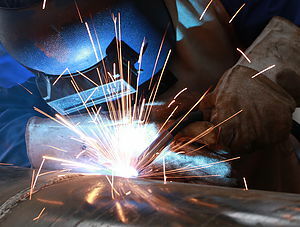 Make sure your building or property is up to code by Precision Iron Works. Precision Iron Works is located in the Metro Chicagoland and provides fire escape repair in Chicago IL services throughout the suburban and downtown area. It is possible to repair the fire escape without replacing it entirely. We specialize in Fire escape inspection, Repair/ Replacement and Painting in Chicago IL. We provide the best fire escape repair and replacement services with a guarantee to pass city codes along with the highest precision quality. We have been in business for over 50 years and have a plethora of satisfied customers. You can call us at 630-761-8004 or email us at precisionironworks@hotmail.com. When a fire escape is beyond repair, our qualified technicians will replace a new one. Give Precision Iron Works a call today to evaluate your building for all of your fire escape repair in Chicago IL needs. You can call us at 630-761-8004 or email us at precisionironworks@hotmail.com.